We spend a third of our lives asleep we’re told and we all need somewhere to retreat, relax and recharge. The atmosphere, ambience and appearance of this stunning Knightsbridge bedroom furniture range take the breath away. 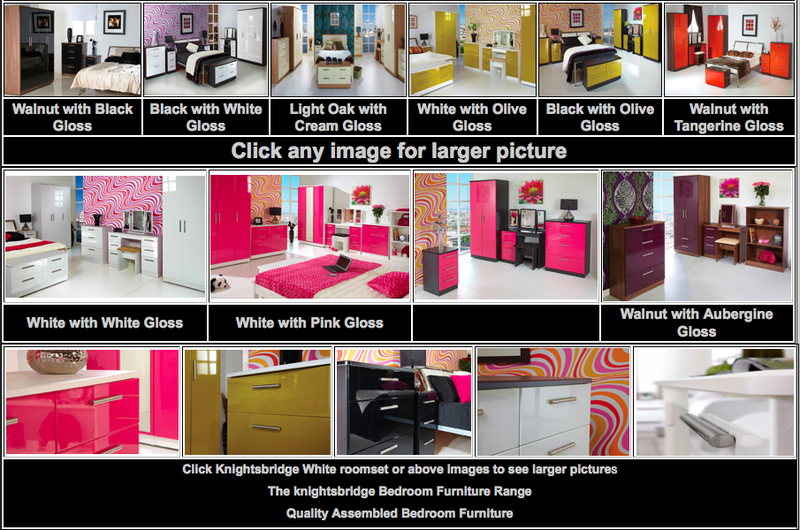 Comfortable as either bachelor pad or elegant family space the sheer elegance of Knightsbridge high gloss Bedroom Furniture with bar handles will compliment any home. Choose from Black, White, Tangerine or aubergine Hi gloss finish. All units are fully assembled and drawers have long life metal drawer runners.